Experiences play such a pivotal role in our life, no? More often than not an experience let's us form an opinion and in some cases, even alter the course of our life. At OVERDRIVE, we have managed to introduce like minded petrol heads to the joys of motoring in the way we experience it. Which is why our Live Life in OVERDRIVE expeditions have always put the enthusiast in the thick of the action. 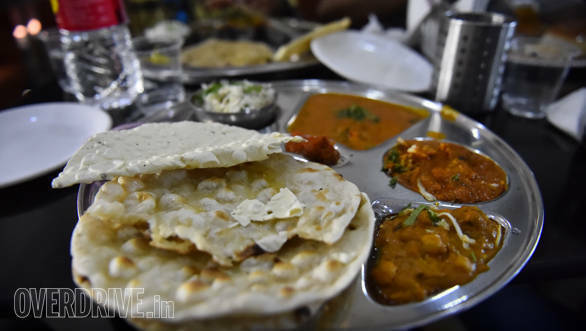 This time, we set our Google map to the Rann of Kutch. To many, it is simply a vast expanse of what essentially is a lake bed that's dried up . But, to us, there's a lot more to the Rann as well the state of Gujarat. 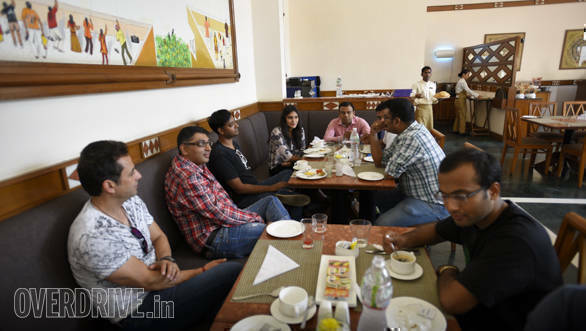 So, on a sunny morning we assembled at a hotel in Ahmedabad, ready to go explore Gujarat. And we had Hyundai India's finest cars to ferry us. 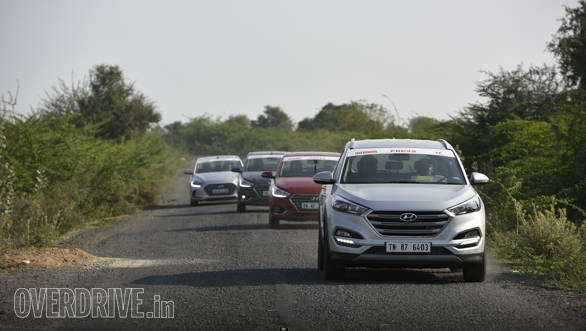 The Hyundai Tucson and Elantra represented the luxury end of Hyundai's stable while the Creta and the new Verna represented the epitome of outstanding value for money. 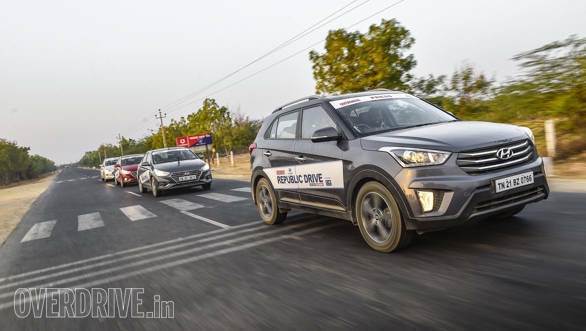 Rujul, one of the participants was also quick to point out that Creta and Verna have both won the Indian Car of the Year awards. Being an engineering graduate, he was keen on discovering what made us auto journalists confer such a prestigious award on these cars. And we were more than willing to show him and the other participants exactly that, by putting them in the driver's seat. 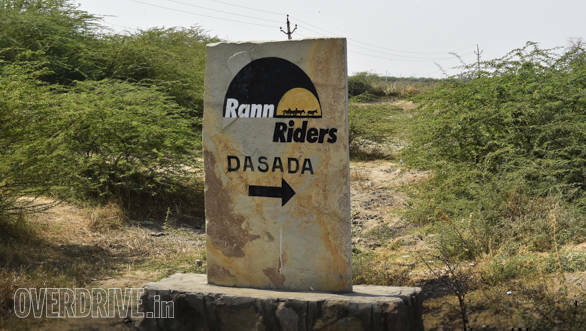 The plan for Day One was to drive from the bustling city of Ahmedabad to the Rann Riders resort in Dasada. Our convoy of Hyundais managed to filter out of the chaotic traffic quite quickly, and soon we were on a smooth, four lane highway to Dasada. This also gave us a chance to stretch the legs of our Hyundais. Keith Gomes, an avid auto enthusiast was blown away by the sheer refinement of the Verna's 1.6-litre diesel motor. "How can a diesel engine rev so quickly? " he continued driving with a big grin on his face. A couple of hours later, we reached Rann Riders. 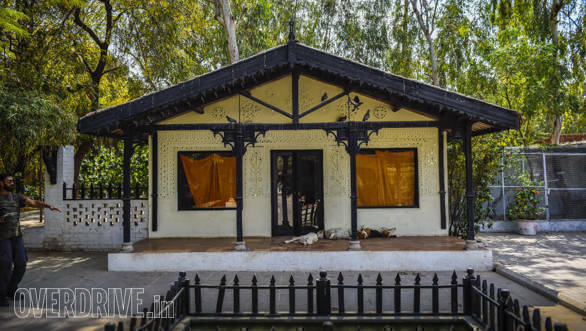 Situated a few kilometers from the Little Rann, the resort offers an authentic experience. There are a number of well appointed and spacious clay huts, giving us a stay experience that was a mix of the traditional and modern. Later that evening, we set off for a drive on the little Rann, promptly ditching the resort's purpose built safari vehicle for our Hyundais. 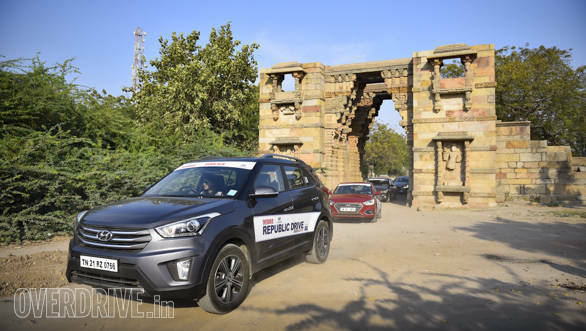 Besides having faith our cars, we were also confident that the CEAT Secura Drive tyres that we'd shod our cars with, would tackle the terrain. After making our way through the small by-lanes of a village, we were greeted by a sight that was nothing short of surreal. The Little Rann may be featureless, devoid of any vegetation and with barely any wildlife, but it's beauty was in its emptiness. The land stretched as far as the horizon and in the distance we could see the sun set. Lined up next to each other, we made a dash to the horizon. If one were to view this from a helicopter above, all one would see was a long streak of dust trail by our five Hyundais. After driving for about 30km, we stopped to admire the view of the Little Rann, soaked in the warm rays of the setting sun. In fact, we were so enamored by the Rann, the next day, we decided to catch the sunrise at the very same spot. 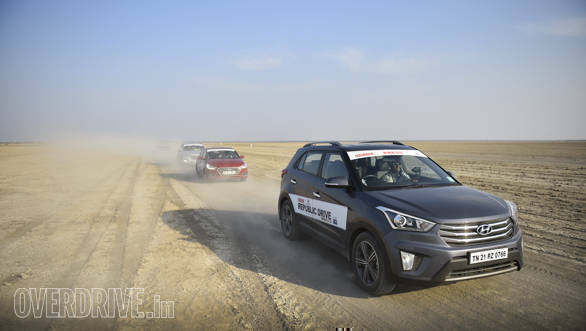 Looking at how isolated the place is, Surhid Sharma, our expert driver decided to teach the participants how to drift, in the Tucson. 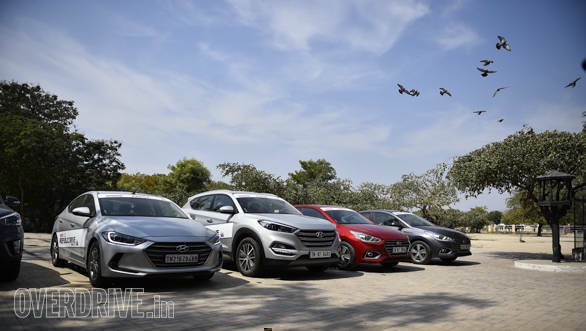 We had the new, AWD variant of the Tucson which made things a bit more interesting. After a few demonstration drifts, the participants got a chance to have a go at it. "I can't believe I'm doing this" is what an ecstatic Arjun, a participant from Delhi, had to say. Happy to have tried and learnt something new, our gaggle of participants began the long drive to Bhuj . While most of the section is pretty much a fast highway, the final few kilometers of tarmac that skirts the Bhuj Air Force Station were splendid. 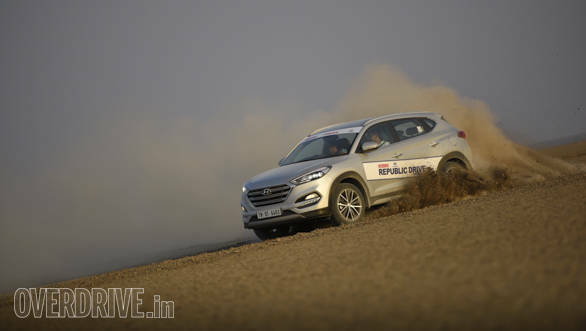 The road dips, rises and flows, which allowed us to explore the handling prowess of our Hyundais. We made it to the Kutch Wilderness Camp by sundown, wrapping up another fantastic day of driving. But the journey has only just begun. 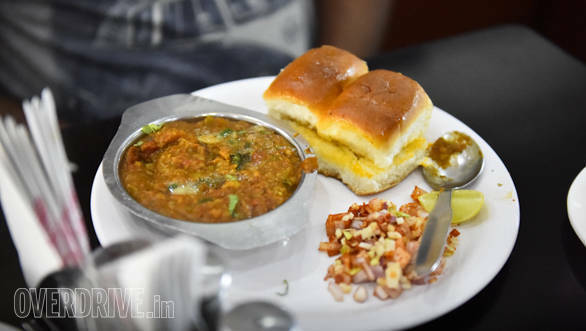 In the next part, we head out to the Banni Grass Lands, discover India's westernmost Gurudwara, visit India Bridge, study fossils and stand mesmerized by the Great White Rann.